The group promotes classical singing and light music in Nagpur. Are old-school music contests your thing? Do you have it in you to mesmerise audiences with your singing? Then Swardhuni, a Nagpur group dedicated to promote classical singing and light music among the masses, offers you the perfect stage. 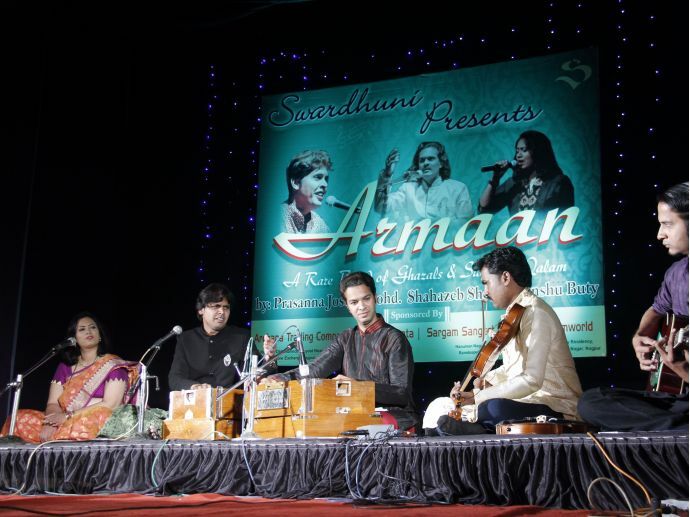 Swardhuni recently presented a musical event- ‘Armaan’ where renowned singers Prasanna Joshi, Anshu Buty and Shahzeb Shaikh regaled audiences with ghazals and sufi compositions. Conceptualized by Asheet Buty, the event was graced by Mr and Mrs Rajendra Dani and Ustad Aqueel Ahmed, director of Sargam Sangeet Vidyalay. Swarotsav’17 by Swardhuni is a solo singing contest that is open to singers aged 15 onwards. Participants will compete in one of two groups- age 15 to 29, and 30 and above. Where: Dharampeth Kanya Shala, Dharampeth, Nagpur. Where: Avishkar Academy, Dharampeth College, Dharampeth, Nagpur. Where: Scientific Hall, Aath Rasta Square, Nagpur. - Participants will be given a tabla, keyboard and harmonium for accompaniment. - No karaoke tracks will be allowed. - The registration fee for the event is Rs 200. So many prizes up for grabs! Winners will be awarded cash prizes and vouchers. As an added bonus, the winners will get a headstart for their singing careers as playback singers in movies by the production house Five Fingers. Additionally, Swardhuni will also conduct a musical nite in August at Fortune Mall, Munje Square, Sitabuldi for providing a wider platform to the winners. For more details, contact Anshu Buty at 08379903092.